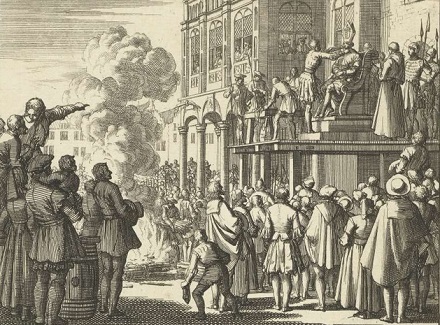 On this date in 1545, the leaders of the violent Anabaptist Batenburgers were burned at the stake in Utrecht. We know Anabaptists best as peaceniks, but the Batenburgers were the dead-end trail to a wholly different reputation. 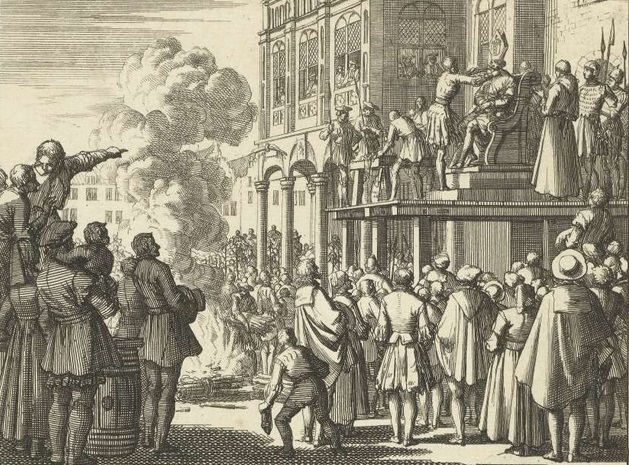 Named for a former Dutch mayor named Jan Van Batenburg, these Zwaardgeesten (“sword-minded”) Anabaptists answered the annihilation of their brethren’s Münster commune by doubling down on revolutionary struggle. Batenburgers rejected the blandishments of David Joris to lay down the impolitic swords. Their numbers and their philosophies are hard to know with certainty owing to their secrecy, but they’re thought to have maintained the radical Munsterite teachings on polygamy and property. 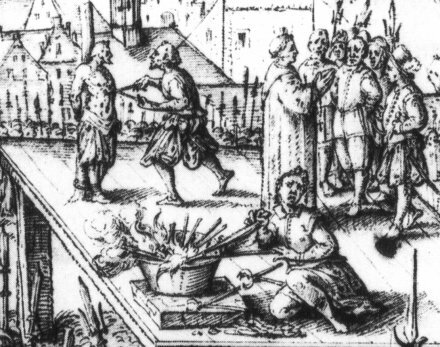 Van Batenburg himself was caught and executed in 1538, and with that the Batenburgers — who had been living secretly in regular Catholic and Protestant communities — took to the wilderness under the leadership of a Leiden weaver named Cornelis Appelman. For the next ten years or so (even outlasting Appelman’s own death) this band of a couple of hundred desperate men made their way as marauders. We’d probably just call them terrorists today. Appelman was even more extreme than his predecessor, verging right into crazy cult leader territory with his dystopian insistence on being called “The Judge” and readiness to mete out the severest penalties for any breach of obedience — to say nothing of the arsons, the church-sackings, and the summary executions dealt out to unbelievers. He was finally caught and put to death with his aide Willem Zeylmaker. 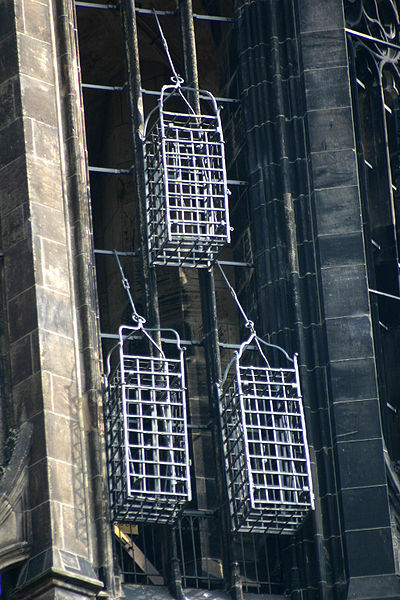 Batenburger remnants, however, persisted for several more years with at least one splinter continuing until around 1580.